Cabaret Voltaire, the birthplace of Dada, was born on February 5th, 1916 in Zurich. 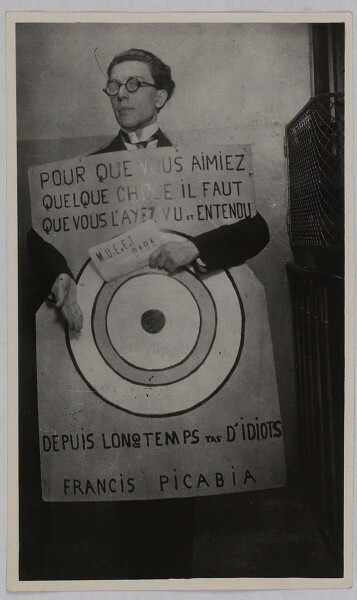 Dada soon spread across the entire globe, and by the beginning of the 1920s, Dada had already become a worldwide avant-garde movement with reach far into the present day. Dada is local, global and universal. Dada stands for the radical artistic attempt to subvert commonplace concepts, to confront a supposed rationally functioning world with irony, humor and satire – a strategy which is still valid in the complicated world of the 21st century. Francis Picabia once said: „Life has only one form: forgetting“. It seems as if Picabia’s law – at least with regard to Dada – is annulled for a while in 2016. Dada is going to be 100. And Zurich is not the only place that knows about it. An ad hoc network of more than 50 local, domestic and international, public and private partners, museums, theaters, institutions, festivals, clubs, organizers, and individual initiatives are celebrating the Dada anniversary in the first half of 2016. There will be exhibitions, tours and performances, readings, conferences, debates, seminars, publications, symposia, observations, and criticism, a documentary by Swiss television, special edition stamps from Swiss Post, Dada at the Zurich Festival and at the European Biennial of Contemporary Art, Manifesta 11. Digital and participatory Web projects, experimental and pop culture will also probe into the Dada phenomenon. And finally, the birthplace and home of Dada, Cabaret Voltaire, will offer an ambitious and comprehensive 165-day event program. All events collectively convey the anniversary spirit. One first highlight is the 100th birthday of Cabaret Voltaire on February 5th, 2016. The National Museum Zurich, Kunsthaus Zurich and Cabaret Voltaire will open their concerted exhibitions on that evening: “Dada Universal”, “Dadaglobe Reconstructed” and “Obsession Dada”.